Dr. Dahl is a Board Certified Ophthalmologist specializing in cataract surgery and cosmetic lid surgery. She was born in Montgomery, Alabama and completed an ophthalmology residency at the University of Alabama in Birmingham. She performs her surgery at Brookwood Hospital, Birmingham Surgery Center, and Callahan Eye Foundation Hospital. 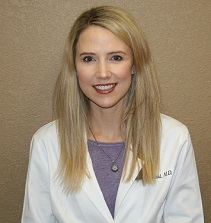 Dr. Dahl has enjoyed living in the Birmingham area for Fifteen years. She and her husband, Brad, who is a native of Birmingham, enjoy traveling, sports and cooking together. Location will be Grandview Physicians Plaza, Suite 100!